Thank you to everyone that came to the 2018-2019 Tryouts. This year, we placed a greater emphasis on keeping our athletes playing at their appropriate age group according to GEVA Guidelines. We believe this will lead to a greater learning experience and more competitive teams. This is the largest turnout we have ever had. In order to accommodate for the strong interest, we are going to add three more teams and up to two practice players to some teams. Practice players will practice with the team and participate in tournaments ONLY if needed. The cost for a practice player is $500 for the season. If any player does not accept a position on the team, we will invite the practice player to join the team. Refer to the 2018 Information Meeting Handout for specific details on each team. Players have been offered the position on the team on Saturday, November 17th and will commit to the club on Wednesday, November 21st through an online registration. This registration will only be available on 11/21 on the LHVA Website; opening at 12am and closing at 12pm. If a player does not commit on 11/21 by midnight, we will offer the position to another player. Players must also attend the Meet and Greet on Monday, November 26th in the Pelham High School Cafeteria C at 7pm to submit payment and paperwork, and to be sized for their uniforms. If a player did not make any team and a position becomes available, we will contact you as soon as we can. If you are in 7th or 8th grade and did not make a team, please consider joining our developmental program! This year, we are offering a $25 discount for any 7th or 8th grader who tried out, but did not make a team and decides to join the developmental program. A discount code will be emailed to you. Learn about the LHVA Coaches! 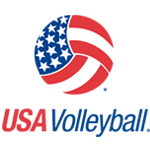 If a player DOES NOT want to accept the position offered on a team, please email us at info@lhvavolleyball.com. ALL PLAYERS ACCEPTING THE POSITION OFFERED ON THE TEAM MUST ACCEPT THE OFFER THROUGH A REGISTRATION LINK AVAILABLE ON WEDNESDAY, NOVEMBER 21ST. THE REGISTRATION LINK WILL OPEN AT 12AM ON 11/21 AND CLOSE AT MIDNIGHT. THE LINK WILL BE AVAILABLE ON THE MAIN PAGE OF THE LHVA WEBSITE. Players were offered the position on the team on November 17, 2018 and will accept the position on November 21, 2018. All players accepting a position on a team MUST accept the offer online on Wednesday, November 21st. In addition, they must attend the Meet and Greet and Player Commitment Date on Monday, November 26th at 7pm. Each player was offered a position on Saturday, November 17th. PLAYERS WILL ALSO GET SIZED FOR THEIR UNIFORMS! All Paperwork Needed will be posted on Sunday, November 18th! Practice Players must also attend the Meet and Greet. They only need to bring $500. Paperwork will be given that night. If someone does not accept a position on the team, a practice player may be asked to join the team. The first payment of $1,250 is due on Monday, November 26th. The first payment of $800 is due on Monday, November 26th. Practice players will practice with the team and participate in tournaments ONLY if needed. The cost for a practice player is $500 for the season. If any player does not accept a position on the team, we will invite the practice player to join the team. The first payment of $750 is due on Monday, November 26th. If you are in 7th or 8th grade and did not make a team, please consider joining our developmental program! This year, we are offering a $25 discount for any 7th or 8th grader who tried out, but did not make a team and decides to join the developmental program. A discount code will be emailed. The first payment of $700 is due on Monday, November 26th. The first payment of $650 is due on Monday, November 26th.